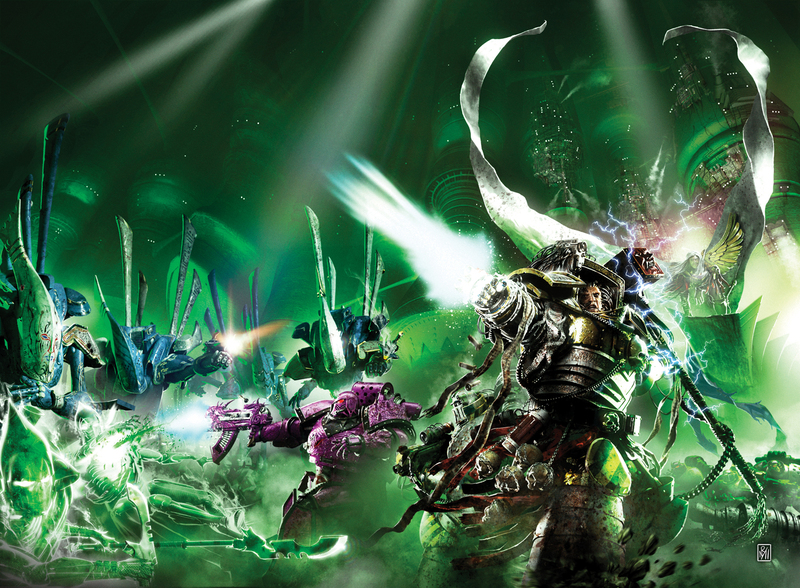 In the nightmare universe of Warhammer 40,000, no servants of the Imperium are more dedicated than the Ultramarines, who follow the teachings of the legendary Codex Astartes to the letter. Having escaped from the Eye of Terror, Uriel Ventris and Pasanius now face an epic journey through a hostile universe in their quest to get home to Ultramar to safety and redemption. The Killing Ground was the more ‘intimate’ of the next three book ark, as I saw them building from just Uriel and Pasanius, to their company at war, and finally to their Chapter at war. It was a logical progression and one that allowed me to build on the previous book and drive the plot and stakes higher and higher. So with that established, this book was very much the ‘voyage home’ story, where our heroes re-enter Imperial space and make contact with Imperial forces. The sudden emergence of two Space Marines would lead to lots of questions and that made for an interesting book where you had to question their loyalty, motives and reason for not telling where they’d come from right away. The villain of this piece (if that’s what he was…) was Leto Barbaden, a man who is, ostensibly, on the side of the Imperium. I remember at the beginning of the project when I was asked which of the various xenos races were the bad guys. I replied that the villain of the piece was the capacity for violence and terrible deeds in the hearts of everyone. Not an easy sell, but I didn’t just want to pick a codex and say that they were the baddies. I wanted to make this a bit more complex, a story where the Imperial Governor was the villain, but not in the usual way (possessed by Chaos, a power hungry ego-maniac, dealing with aliens etc). By Imperial standards, he was doing the right thing, but that sat ill with the Ultramarines, and, by extension, the Grey Knights. Bringing Uriel and Pasanius down on Salinas was my way of telling a story involving themes that had been buzzing around my head for a while. 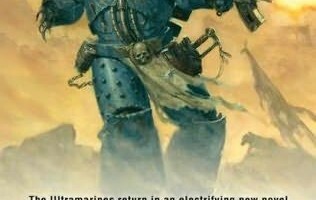 I had long wanted to tell a 40k ghost story, and this seemed like a great way to do it. It was also a way to tell a story of war without actually being in the war and revelling in the killing, the way a war novel often can. There was nothing glorious about this war, and the consequences of that war were telling in all manner of horrible ways on the men who participated in it. In 40k fiction we take for granted that once the war’s over, the soldiers go onto the next one without any of the trauma and change that affect real-world soldiers, so this was a way of exploring that to some degree (in a fantastical setting, admittedly, but still…). Uriel and Pasanius’s participation in this story cemented the lessons they’d learned in Dead Sky, Black Sun – that not following the codex leads to Bad Things – and was a way of tidying up loose ends in preparation for them returning to the Ultramarines. The biggest loose end was, of course, the Unfleshed. Whereas Uriel truly hoped they could be brought back into the fold, that was never going to happen and could only really end badly for all concerned. I knew that they’d have to go through the wringer before they got to that ending, but that when it came it would need to be at Uriel’s hand. Any other ending would feel like the Unfleshed were being punished and that’s not what I wanted for them.